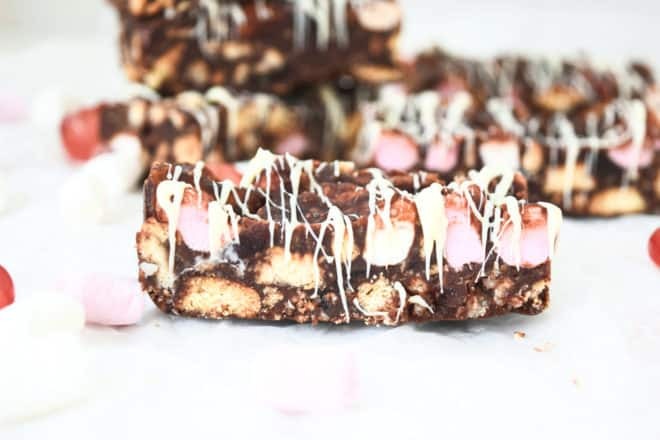 Rocky Road Slices with a Twist? These soft, indulgent slices will totally satisfy your sweet tooth! Nugget is finally walking!! It feels like I’ve been waiting ages for him to take his first steps, then it happened so suddenly. He just decided today was the day and he was off. He’s now totally unstoppable, but at least I’ll be burning plenty of calories chasing him and Bam Bam around! So, what better excuse to indulge in this chocolatey goodness?! The only problem I have is that I just can’t stop eating it! But hey, it’s nearly Christmas, right? I hear that calories don’t count at Christmas…. Should that be untrue, the extra pounds will keep me warm over winter! 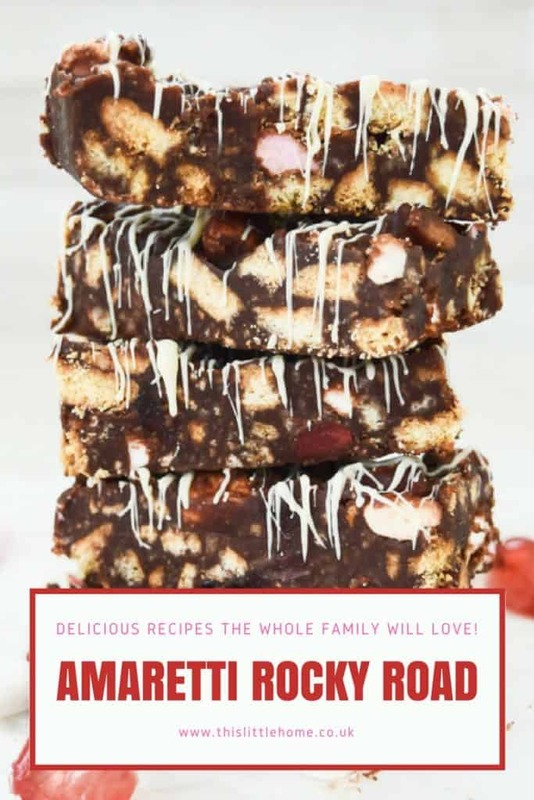 Now, rocky road is simply great as it is but these have an extra depth using soft amaretti biscuits in the mix. It’s also gives them a crumbly soft texture which will just melt in your mouth. 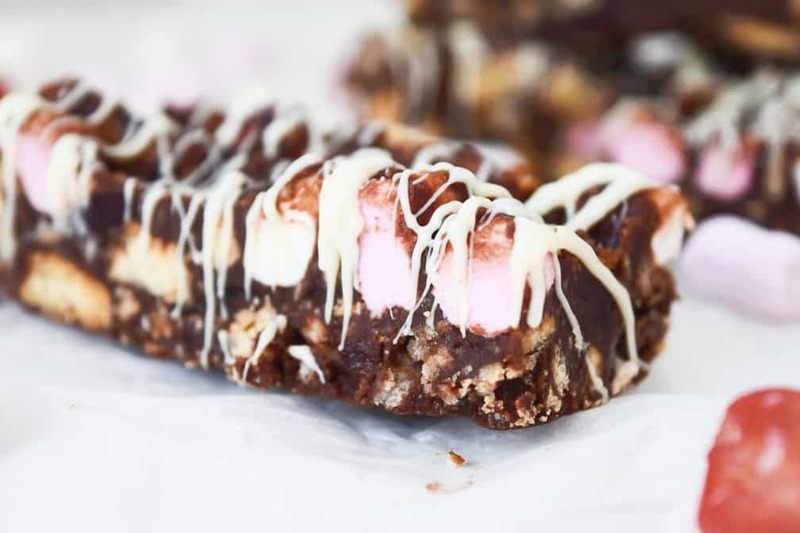 These rocky road slices are great for sharing too. Not only because your friends will totally love it but because you can even out the balance if everyone is indulging. Pounds gained together are pounds you won’t notice! Enjoy! Want to make you own amaretti biscuits? Place the chocolate, butter, sugar, syrup and cocoa powder in a saucepan and gently heat until melted, stirring continuously until combined. Remove from the heat and allow to cool to room temperature. 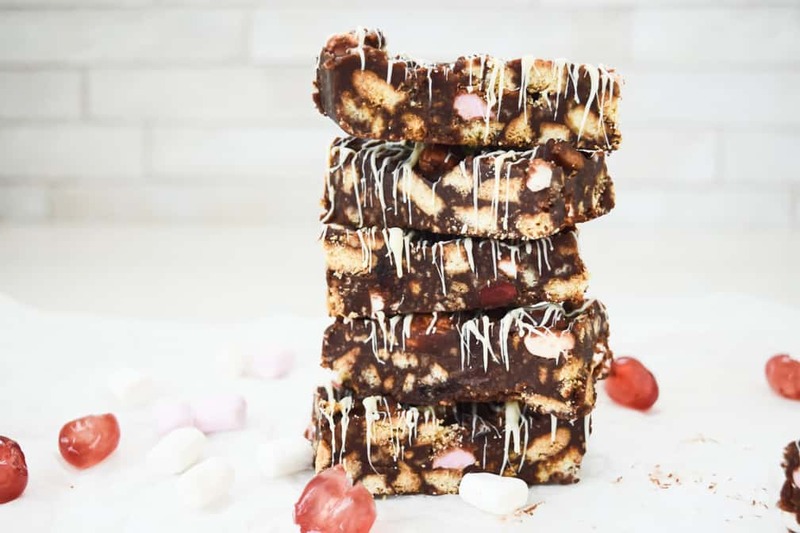 Add the marshmallows and cherries to the biscuits and pour in the chocolate mix, fold in until all ingredients are coated with the chocolate. Line a 20cm square tin with baking paper and press the mixture in gently with the back of a spoon. 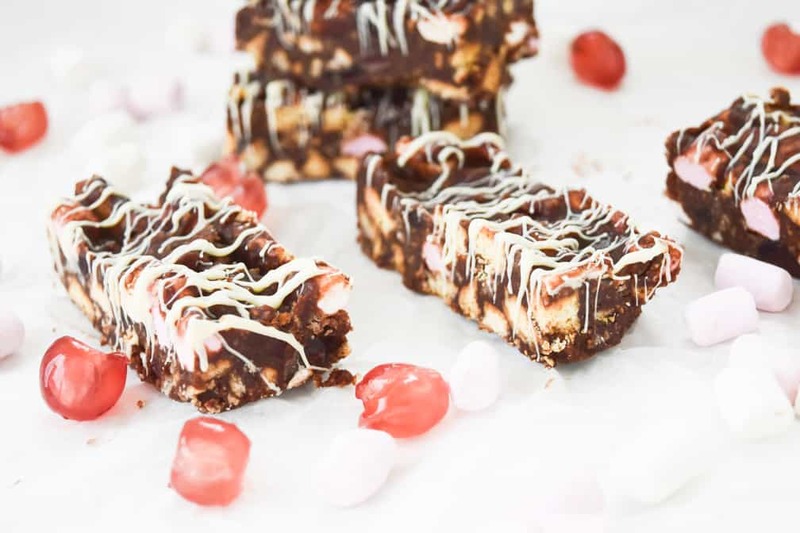 Once the rocky road has set, remove from the tin and cut it into slices. Melt the white chocolate and drizzle over each piece. Allow to set and serve.